These locks are suitable for most sliding trellis gates and can easily be retrofitted to replace most existing trellis locks. These locks have a higher security rating than traditional security locks because they feature an integrated anti-lift locating pin which prevent gates from been lifted in the rail. For added security and piece of mind, the Yale trellis gate lock is supplied with a mini oval cylinder, escutcheon set & 3 keys. 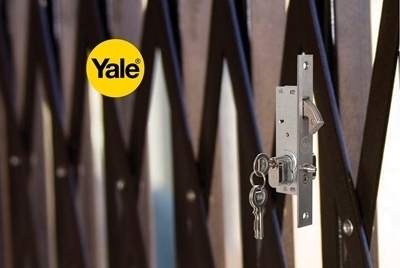 For properties with multiple trellis gates, Yale offer keyed-alike mini oval cylinders. This means you can now, conveniently, use one key to open up multiple gates in your home. Update you home security with Yale trellis gate locks and cylinders for added peace of mind.